Clipsafe stainless steel housings provide comprehensive protection for your applications in industrial environments and in process-related areas. 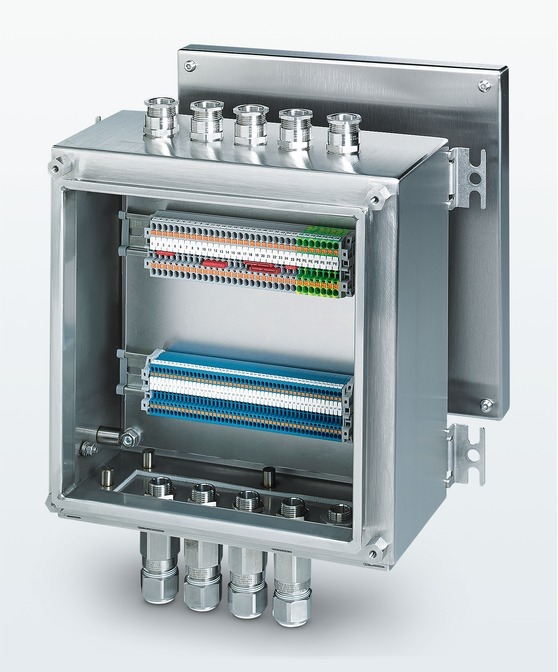 The housing product range consists of standardized housings at sizes up to 1000 x1000 x300 mm. The customers are able to obtain the Clipsafe empty enclosures completely equipped with terminal blocks and cable glands on request.